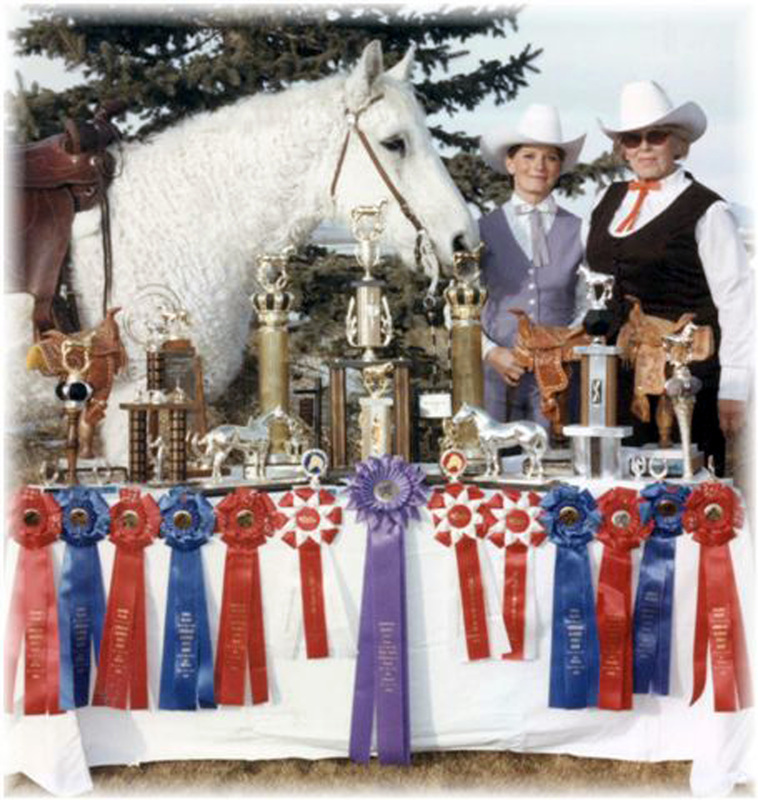 Welcome To The Curly Horse History Site! I hope you enjoy your look around the historical site for the American Horse with curls! Here you will find out about many of the early breeders and some of the known facts about this amazing horse! The true origin of this horse remains a mystery still today in spite of all the modern technology we have but some fascinating facts will help us get to know him! Much has changed since the first horse with curls found his way into the corral at the Damele Ranch in the early 1940's, many more folks have come to love him, or her as the case may be....! Some folks that never could have a horse because they were allergic to them find that they are not so bothered with this one! Just one of their wonderful attributes! A note must be made that much of the early historical information was gathered with very limited resources and tools to gather such; no internet, Google, etc. so you may find some hard to read even though much care has been taken to preserve the original documents. Most of what you will find here was gathered by my dear friend and early day Secretary of the original "American Bashkir Curly" horse registry Marjorie Myers Martin best known as "Sunny". Sunny collaborated with me on the writing of "Nevada's Mystery Horse" available on Amazon.com and through wonderful personal friends upon her death her personal archive was passed on to me. Some photos and other articles will be noted as being shared by other friends of Benny Damele or the registry. Thank you to all who have contributed photos, articles, time, encouragement, and help in any fashion. Our newly updated and revised "Nevada's Mystery Horse" is available on Amazon.com, Amazon Europe with new content, photos and Curly stories!